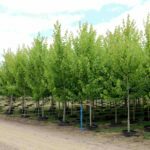 This is a fast growing, upright oval maple. 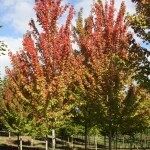 The rich green leaves change to bright orange-red (with white on the underside) in mid to late fall. 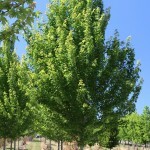 It tolerates heat, drought, and other adverse soil conditions better than most Red Maples.